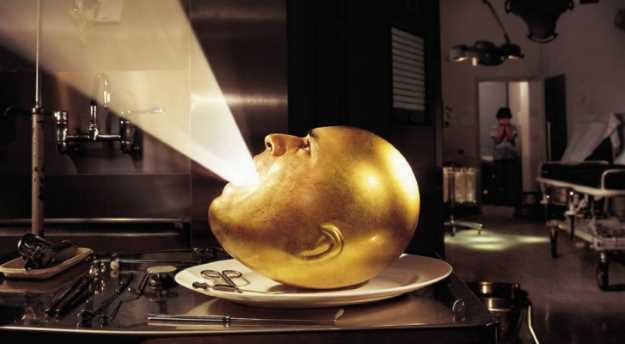 It's quite possible that there'll never be another band to play with the same amount of frenetic energy and loudness as The Mars Volta on De-Loused In The Comatorium. Rising from the ashes of At The Drive In and spearheaded by the dynamic duo of guitarist Omar Rodriguez-Lopez and vocalist Cedric Bixler-Zavala, the group enlisted super producer Rick Rubin to record them on debut, the bearded genius taking the group up to the haunted confines of The Mansion in the Hollywood Hills to capture their essence. While meeting mixed reviews at the time of release, there's no doubt that 15 years on, De-Loused is a bona fide classic - a new twist on prog rock that rejuvenated the genre for a new age, inviting exciting new tone colours and rhythms previously unexplored by other artists into the wider eye. In celebration of the album's genius, we take a look at the tools used to create one of the best prog albums of the modern age. Around the recording of De-Loused In The Comatorium, guitar wizard and co-producer Omar Rodriguez-Lopez tended to favour an Ibanez AX120, simplifying the guitar by adding a single volume knob and a lone Artcore Blade humbucker in the bridge position. A frequent collaborator with The Mars Volta and Omar Rodriguez-Lopez, Red Hot Chili Peppers guitarist John Frusciante can be heard playing guitar on the insane, 12-minute long cut 'Cicatriz ESP', with his melodic lead style perfectly contrasting Rodriguez-Lopez's hectic flurry of notes in the solo section. 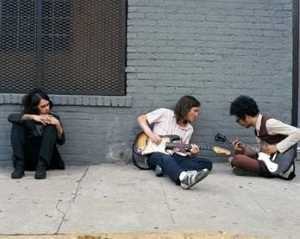 Around this time, Frusciante relied heavily upon a battered '62 Stratocaster that he also used frequently with the Chili Peppers. While the majority of The Mars Volta's later bass work was composed and perfomed by the formidable fretless player Juan Alderete, De-Loused In The Comatorium features the bass playing of Red Hot Chili Peppers' Flea, with the bassist being introduced to the band through Frusciante and Rick Rubin. 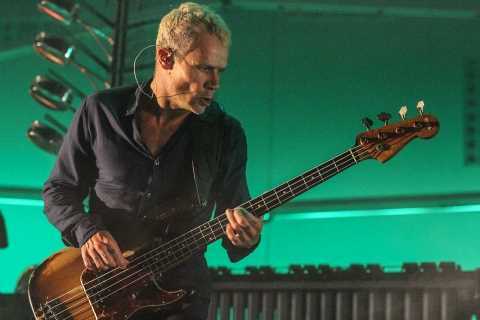 As a session musician on the record, Flea played his 1964 Sunburst Precision Bass, which also happens to be one of his main basses when touring with Thom Yorke for side project Atoms For Peace. 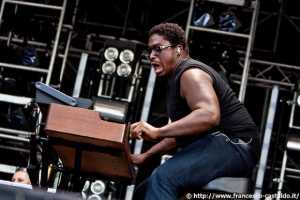 Keyboardist Ikey Owens, who sadly passed away whilst touring with Jack White in 2014, plays an integral role throughout De-Loused, with his whacky organ and electric piano playing adding to The Mars Volta's Latin edge. Owens favoured a classic Wurlitzer 206A throughout the recording of De-Loused, which can be prominently heard on 'Inertiatic ESP'. 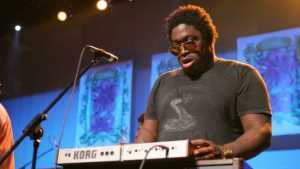 For pad sounds and mono-synth textures in The Mars Volta, Owens used a Korg Microkorg, often regarded as one of the most popular synths of all time. 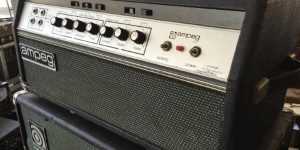 Speaking to Mix Online in 2003, Dave Schiffman, the engineer behind the tracking of De-Loused In The Comatorium, discussed the use of numerous amps throughout the recording process, stating that "a large portion of the guitar sounds came from an amazing Supro amp, a Fender Princeton, and a very small Fender Tweed. 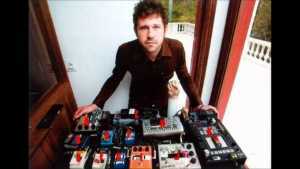 We also used a Fender Super Reverb and a Vox AC30 for some songs." In addition, Rodriguez-Lopez also used an older Celestion-loaded Marshall cabinet, which was recorded with a Neumann U67. On bass, Flea played through an Ampeg SVT head paired with a 8x10 cabinet, which was also DI-ed via a Demeter DI and compressed with LA-2As on both channels for an extra punchy tone. 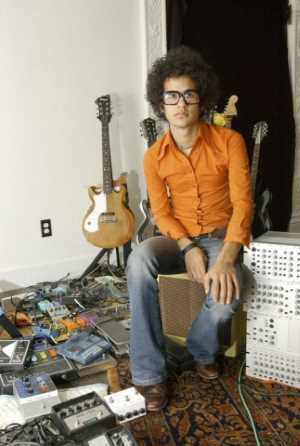 It's well known that Omar Rodriguez-Lopez has one of the most expansive pedal collections ever, with Guitar World Magazine claiming the sonic wizard owns over 200 effects units. While it's impossible to determine exactly what effects he's using throughout De-Loused In The Comatorium, his live board from this era consisted of a Moog Moogerfooger Ring Modulator, EHX Big Muff Pi, Line 6 FM4 Filter Modulator, a Digitech Synth-Wah, MXR Phase 90, Digitech Whammy, EHX Small Stone Phaser, EHX Small Clone Chorus, a Dunlop Bass Crybaby, and at least three different delay pedals, including a BOSS DD-3 and an EHX Deluxe Memory Man. Sheesh. In addition to Omar's effects trickery, De-Loused In The Comatorium features the effects manipulation of Jeremy Ward, who died of a heroin overdose shortly before the release of the record. In the aforementioned Mix Online interview, Shiffman notes Ward was sent a feed of Cedrix Bixler-Zavala's vocals through a Shure SM57, which "went into his mixer, through his toys then back to me." 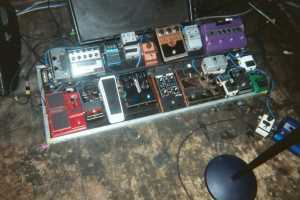 While it's uncertain what pedals Ward was using exactly, he appears to have a Roland SP505 sampler on his setup as seen above, as well as various filter, delay, and modulation effects. 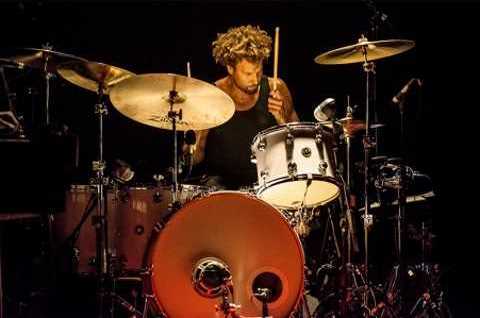 The inimitable Jon Theodore, who now drums with Queens of the Stone Age, pounds out the walloping drum parts on De-Loused on a Ludwig Stainless Steel Kit, consisting of a 14x10 tom, a 16x16 floor tom, an 18x16 floor tom, and a 24x14 bass drum, with a Ludwig LM402T chrome-over-aluminum snare. For cymbals, Theodore employed the use of two hi-hats with holes drilled into them, a splash with a cracked bell, and a Zildjian ZXT Trashformer along with various other shredded and drilled cymbals.